Everybody loves comfy pajama pants. I prefer to wear mine to lounge in but hey, if you need a pair to wear to the grocery store, this class will have you making as many pairs as you need! There are two sessions scheduled. A beginner will do just fine in this class, however, we have added a pocket just to let you come in and learn a new technique as well. They are not always as easy as they "Seam"!! Bring your machine, foot pedal, neutral thread and bobbin, seam ripper and scissors. 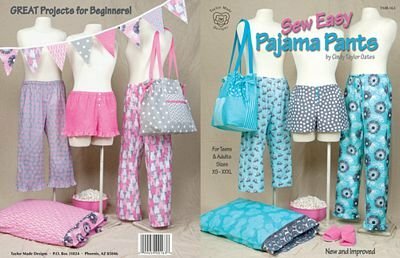 Cost of the class includes the pattern and fabric kit.